I’ve been having a wonderful break so far just hanging out around the house. So many amazing and beautiful things have been happening and I’m going to share them all with you! 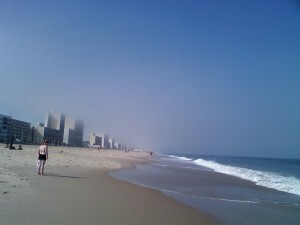 So, I drove to Norfolk State University to visit my good friend Nick and we took a drive to the lovely Virginia Beach!!! Isn’t it beautiful? Unfortunately, my camera died after these two pics! 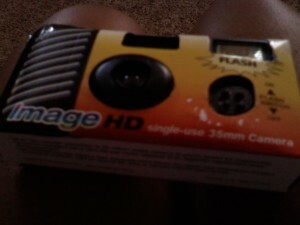 So, Nick purchased a handy dandy disposable camera (real old school style!) Check out my Just Pics tab at the end of the week to see all of the pics we took when they develop. I’m so excited! Fingers crossed, I get the job! Wish me luck and look out for more great news about my Spring Break 2012! Nice site, look forward to reading more of your posts in the future, keep up the good work! Your article is really good and informative. Thanks for sharing. Hey there, Thanks a lot for this brilliant article! I have to bookmark Spring Break 2012 Pt. 2 | Just Jolie!. Thanks.